Pay your bill the easy way with GoCardless! Simplify your life today and take advantage of our GoCardless automated direct debit payment system. Paying with GoCardless is 100% secure, simple to setup, and your bank/card details are never disclosed to Lanes Window Cleaning at any point in the process. 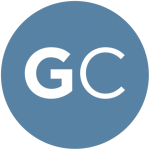 To setup a Direct Debit simply click on the GoCardless button across. The pre-authorisation form only takes two minutes to complete. Future window cleaning payments will then be collected on the 1st of every month by hassle-free direct debit. The GoCardless variable direct debit system is perfect for window cleaners. We simply e-mail you a unique sign-up link which you complete once, and then future payments are taken automatically. 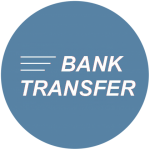 Bank transfer is a quick and easy payment method - but please always use the first line of your address as a reference so that we know who had paid! Contact Us for our bank details if you would like to pay via BACS.